Trinidad (Agenzia Fides) – Fr. 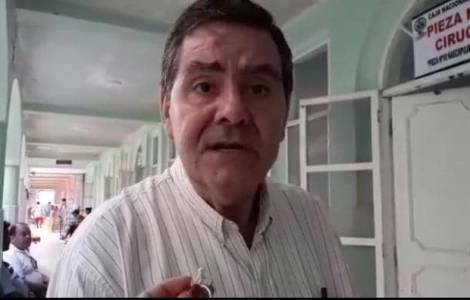 Adam Bravo Mendoza, 78-year-old diocesan priest, of La Santa Cruz parish in the city of Trinidad, in the Apostolic Vicariate of Beni in Bolivia, was stabbed by some criminals who tried to steal the alms collected during the Sunday Masses, according to the information sent to Agenzia Fides. "The priest was wounded with a knife by three people who entered La Santa Cruz parish breaking the glass of the main door and wanted to steal the money" said the commander of the Civil Police Support Group (GACIP), Dixson Escalante. Fr. Adam was wounded in the abdomen with a knife by one of the assailants on the evening of Sunday, January 6, and was admitted to "Obrero" hospital of the Trinidad Health Fund, where he underwent surgery. The Bishop of the Vicariate of Beni, Mgr. Julio María Elías, OFM, asked for prayers for the rapid recovery of "Father Tory", as he is called by the faithful.